Join The Digital Arts Experience Thursday, June 18th anytime between 5-7PM for Open House showcasing our fun and exciting summer STEM and tech programs for kids and teens in Westchester County. Our facility will be set up like a trade show with instructors ready to talk about different programs and showcase past student work. Sign up during Open House and receive 10% off of your summer enrollment. E-mail info@TheDAE.com to RSVP for Open House! 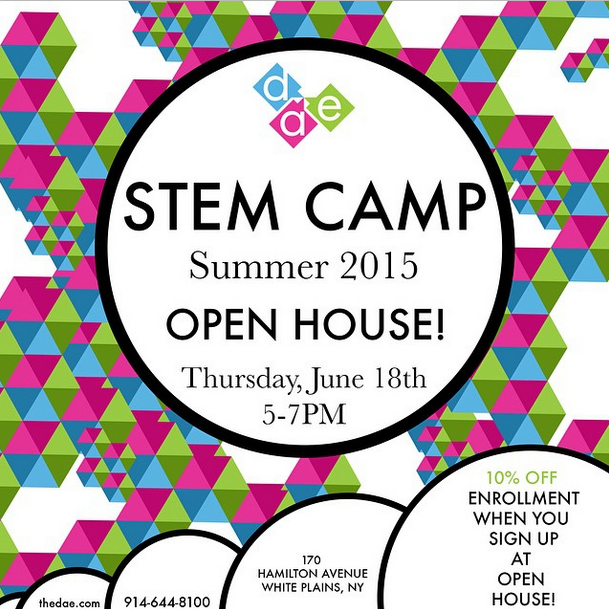 Join us for Open House on June 18th to learn more about our Summer STEM & tech programs! This on Thursday, April 30th, we held an Open House at The Digital Arts Experience to showcase all the great projects our students have made during our Spring Break camps and after school programs. If you missed it, we will be having two more Open House Dates; May 28th and June 18th! In the past few months, students have made countless creative projects in so many different areas such as 3D Printing, Scratch coding, video editing, and much more. The Open House took place from 7pm at our site which is located in Westchester county. Parents and kids observed our 3D printing setup, Scratch workshops and asked questions about our summer sessions. We are so excited to present our lineup for our new Summer STEM Camps that are starting July 6th. We are offering 5 different sessions where students can choose from a morning or afternoon session, or a class in both for a full day. When you sign up for a program during our Open House, you will receive 10% off of enrollment. 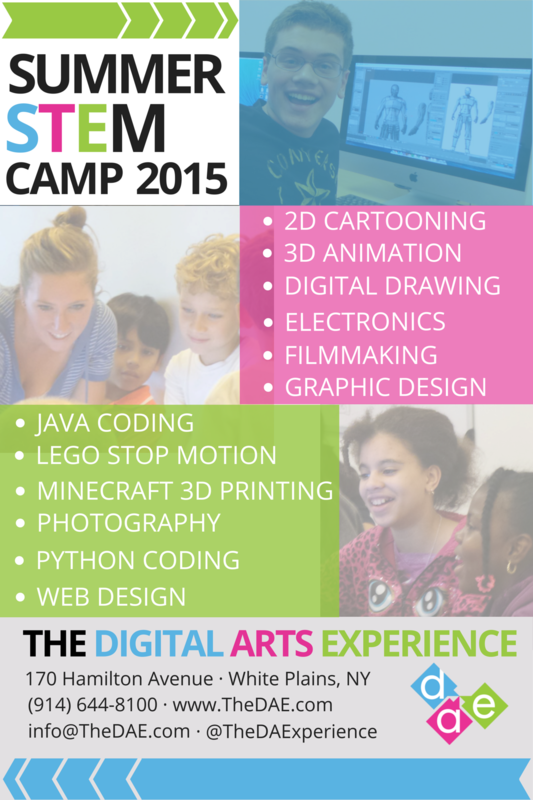 Check out our Summer STEM Camp schedule here! We are looking forward to sharing the variety of student work with parents, students and the community! For more information please visit www.TheDAE.com or RSVP at info@thedae.com. The Digital Arts Experience is hosting a Scratch Day event on May 9th from 12:30 to 2pm! But what is this day all about? Scratch Day is a global event that is held on the same day, May 9th, but is hosted in many different communities around the world. Teachers, parents, and students gather at their nearest Scratch Day location to not just celebrate the release of Scratch, but all of the creative projects made. Scratch is a free programming language where anyone can create their own artwork, games, and animations through the simplified basics of computer programming. The world of Scratch is a fun and entertaining way to educate youth about math and science while integrating art, and music. We are hosting a Game-Off, where participants will be challenged to create their own original game built in Scratch within a time frame. Whoever programs the most creative and original game will take home a 3D printed prize. We are so excited and can’t wait to see what everyone will make! 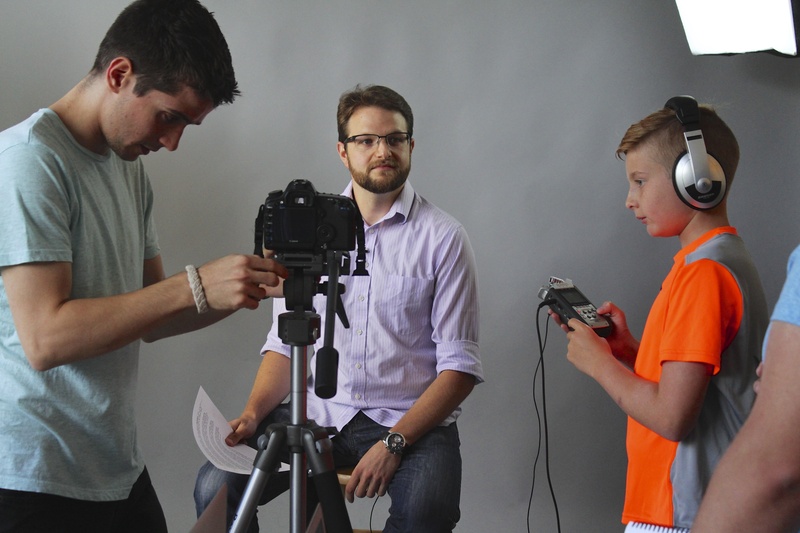 For more information on Scratch Day 2015 click here. For more details on our Scratch Day event click here. Please visit www.TheDAE.com for our Summer STEM Camp schedule!